Western Blot analysis of TTC23 expression in transfected 293T cell line (H00064927-T01) by TTC23 MaxPab polyclonal antibody.Lane 1: TTC23 transfected lysate(43.23 KDa).Lane 2: Non-transfected lysate. 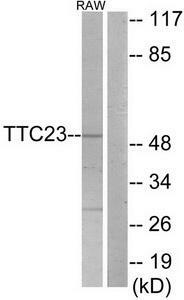 Western Blot analysis of TTC23 expression in transfected 293T cell line (H00064927-T02) by TTC23 MaxPab polyclonal antibody.Lane 1: TTC23 transfected lysate(43.23 KDa).Lane 2: Non-transfected lysate. 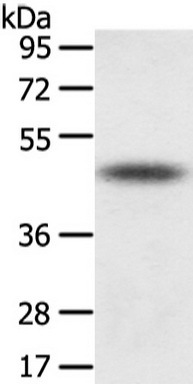 Western blot analysis of extracts from RAW264.7 cells, using TTC23 Antibody. The lane on the right is treated with the synthesized peptide. TTC23 Antibody (Center) (AP54394PU-N) western blot analysis in 293 cell line lysates (35 µg/lane). 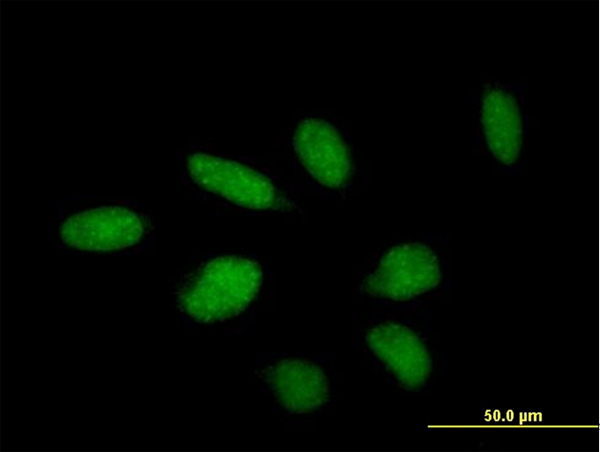 This demonstrates the TTC23 antibody detected the TTC23 protein (arrow). 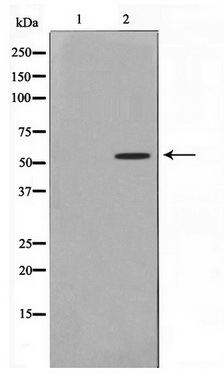 Western blot analysis of extracts from RAW264.7 cells, using TTC23 antibody.The lane on the right is treated with the synthesized peptide.